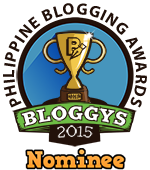 MUST READ: What Do Japanese Professionals Say About Bizmates? What is Bizmates? Bizmates, Inc. is an online business communication school focusing on helping Japanese professionals with their business English needs. It was established in 2012. Bizmates helps students succeed in global business. I'm proud to say that I am one of the trainers at Bizmates. Hello, everyone. My name is Yusuke. I'm 36 years old and I was born in Akashi City, Japan. I started learning English when I was in Junior High School 25 years ago. A quarter of a century has passed, yet, I still can't speak English very well. First and foremost, I had a terrible experience when I was in high school. I would like to introduce the word: "BINTA." It's a Japanese word and it means to slap one's face. My high school is well-known for its harsh punishment. If I failed an English test, my teacher would slap me on the cheek. The number of errors is also the number of slaps I would get. Fortunately, I passed my university's entrance examination because of that horrible experience. But come to think of it, do you want to be slapped on your face? Of course not. It was traumatic. Learning English truly reminds me of a painful experience. The second reason is my university life. I was a member of a Lacrosse Club when I was in college, and I spent most of my time not in a classroom, but in the field. Luckily, it was easy to get a credit of foreign language in my university. I took English and French classes back then. In my French class, I got a credit from counting 1 to 20 only. Surprisingly, my 5 year-old son can already count up to 20 in English! Probably, he can now get a credit in a Japanese university! Hilarious, but it's true. The third reason is my career. I have worked as a sales representative for domestic clients in Japan ever since. It's not necessary to speak in English. And lastly: My mindset. Well, I am married with two children. My wife works as a nurse and my eldest son goes to a kindergarten near my house. Now is the most stable and comfortable moment of my life. Someone once told me: "To work abroad is to change your sense of values." However, I didn't want to change my sense of values. I love my present situation so much, and I don't want to change it. That WAS my mindset. Today, I talked about 4 reasons why I couldn't speak English very well: My traumatic experience back in high school, my university life, my career, and my mindset. I can't change the first three reasons anymore. I can't turn back time, but I can consider to change the fourth one from now on. Steve Jobs once said: "Don't settle." I changed my mindset and I'm going to work overseas in the future. Therefore, I want to work hard in this training. I heard there's no "BINTA" in Bizmates, right? As a trainer, this story moved me and it touched my heart. I don't want to exaggerate, but I almost cried. According to some people, if you're an English teacher, it's your responsibility to hone your student's communication skills and you are obliged to teach them. Personally, as a trainer, I don't use the word oblige. I am not obliged to do it. It's not an obligation for me. It is my passion. I am doing it to help my students because I care for them and I love them. I want them to enjoy English. And so often, you find that the students you are trying to inspire are the ones that end up inspiring you. 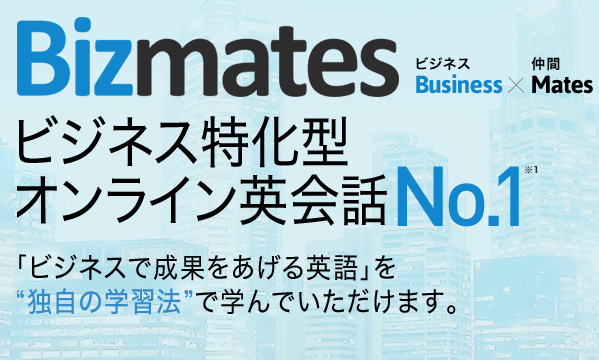 What Do Japanese Professionals Say About Bizmates? "My father used to teach me English when I was a child. I used to love English before. When I was in college, I started to hate it because of those difficult exams. Afterwards, I almost forgot everything what my father taught me and I totally forgot all the things that I learned from school. I'm a Newscaster in a local channel in Japan and it's not necessary to speak in English. I just need to make a report in Japanese everyday. I didn't have opportunities to speak in English, but a few months ago, I decided to study again and brush up my communication skills because I want to interview some CEO's in English. I like Bizmates because of the kind trainers and I enjoy each lesson with them." "I started taking Skype lessons with Bizmates 2 months ago and I’m now taking it almost every day. Before, I used to study English in a different way and I didn't have enough time to do it continuously. Bizmates is different. I can learn anytime, anywhere in a short period of time. It only takes 25 minutes and it feels like you're just calling a friend. I can choose from a huge list of trainers and it's fun to find your favorite trainer, too. I really enjoy each lesson with friendly trainers every day. They give feedback after the lesson and it's really helpful and encouraging for me. I feel motivated because of that and I really appreciate it. Remember: Your improvement will not happen in a snap. It's not magic. You need to believe in yourself first and remember to always enjoy what you are doing. English is fun. It's up to you and your trainer to make it fun. In Bizmates, we make it possible. It's OK to make mistakes. 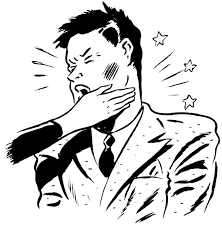 The only normal way to begin speaking a new language is to begin speaking badly. You just need to be confident in expressing yourself. Bizmates will help you develop and improve. Grammar doesn't matter as much as you think it does. Don't let perfection paralyze you. Your fluency in the English language is a work in progress. Your trainer is the most important tool after you and Bizmates has the best trainers. We will open the door, but it's your job to take the first step inside. I'm looking forward to meeting you! This is good article. I have just started bizmates two month ago. 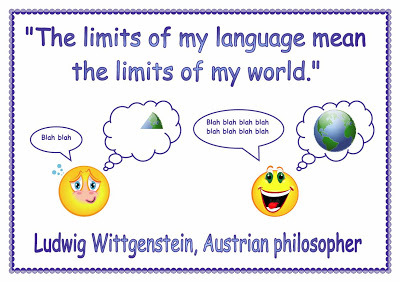 But, my mindset of English totaly has change. My precious trainer, Jan Paula, told me that I have to confident of speak English and enjoy it. I would like to express appreciation. Thank you very much! Awwwwwe. Precious?? :) Thank you, Yoshi. I'm proud of you!